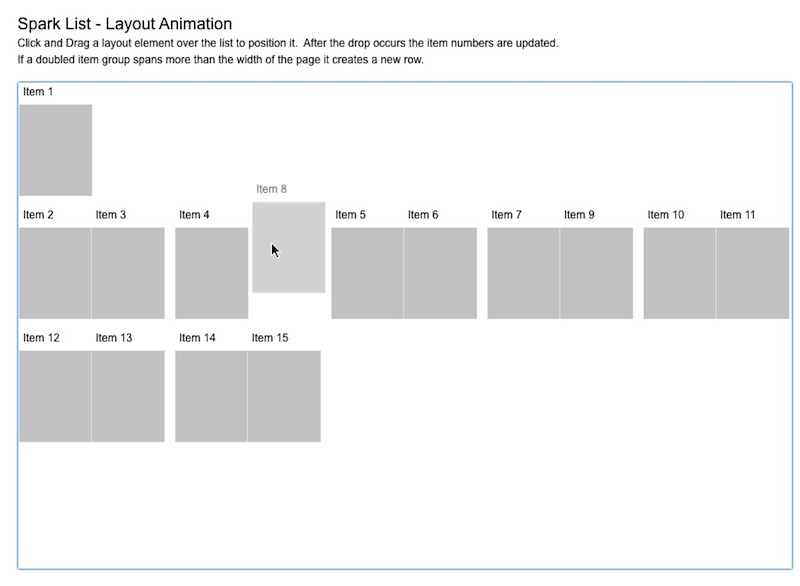 Hey, nice article about spark layouts! Any chances to see the source files? Unfortunately, this makes transitions nobtiacly choppier for my page (on an iPad 3), not smoother.> An abundance of animations would not affect the users battery. You’re either using the gpu or you’re not. If you have one dom element with z-rendering enabled, then you’re using the users battery.This is wrong. For one thing, the GPU is *always* being used by iOS, since it’s used for compositing. For another, of course you’re using more battery with lots of transitions, as you’re causing far more composition operations to occur. You’re using battery any time something is changing. There are more distinct visible frames, each of which has to be rendered (whether it happens on the CPU or GPU in reality it’s both). It’s not like the GPU is something that gets turned on and left on while you’re using it (like the gyroscope or wifi); it wakes up for the work it needs to do and then idles again.However, the difference is probably not significant and certainly not worth worrying about. I’m trying to do the same as you but I found a lot of difficulties adding effects on updateDisplayList method. Some time the effect never stops and other times never starts. So I’d like to know more details about you implementation. Thanks very much for the post. I have had a similar requirement and am trying to implement exactly the same as you have done here. Although not entirely successful with it yet, I sure hope to get it done. Was hoping whether you could expose the source code as that would be really helpful to understand how the event handling was done. Anyway, thank you very much for the provided information. Cheers! !